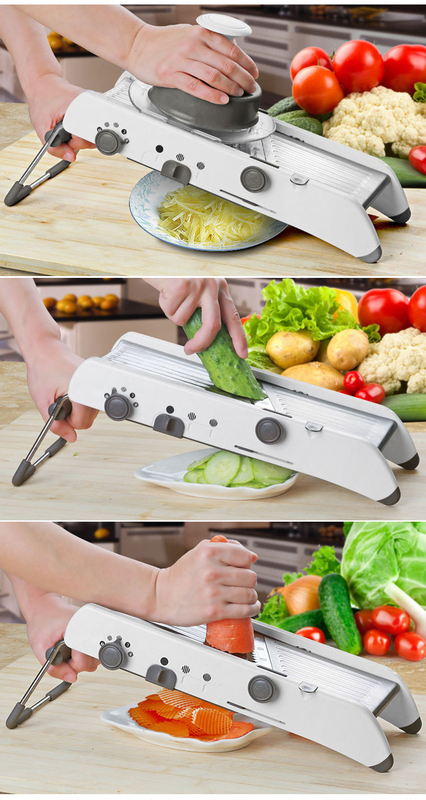 Get ready for a great cooking experience with this Professional Mandoline™ Slicer! Now, you can make uniform slices of your favorite veggies and fruits -- so your food will be cooked uniformly and quickly. The blades are sharp and the whole slicer stays firm on the surface making it easy to work on hard root veggies as well. It also meets the serious chef's standards for your safety and it is easy to use. Save your precious time while cooking and spend more time with your loved ones! We stand by our quality products -- we do the little things to ensure a great product. We guarantee our products against defects in materials or workmanship for 30 days risk-free money back guarantee. Your order ships within 48 hours. Click "ADD TO CART" to get 40% OFF now!